DAVID LE/Staff photo. 6/6/15. 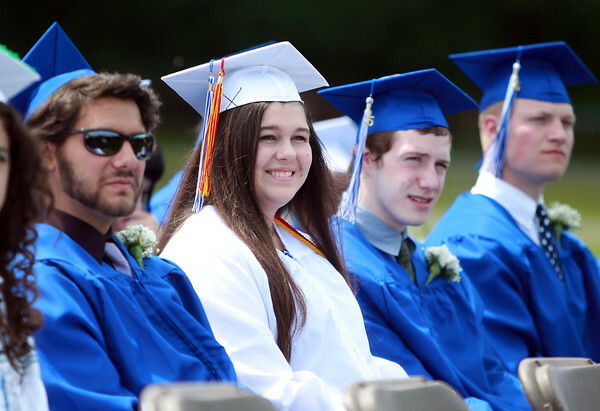 Danvers High School graduate Brenna Ambrose smiles while listening to the senior class officers deliver their joint speech "The Words Of Our Days" during Graduation on Saturday afternoon.